“Many people anthropomorphize horses. We think they should be clean. We think they should wear nice, warm blankets when it’s cold, and we think they should eat two or three meals a day. 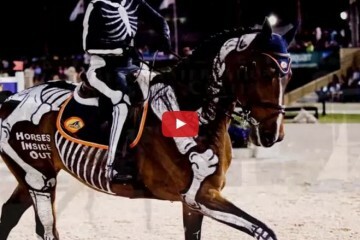 Horses are horses–not humans. They should be treated like horses. They like to get dirty. They can regulate their own body temperature in most cases. They have a unique digestive system that is very different from the human digestive tract. 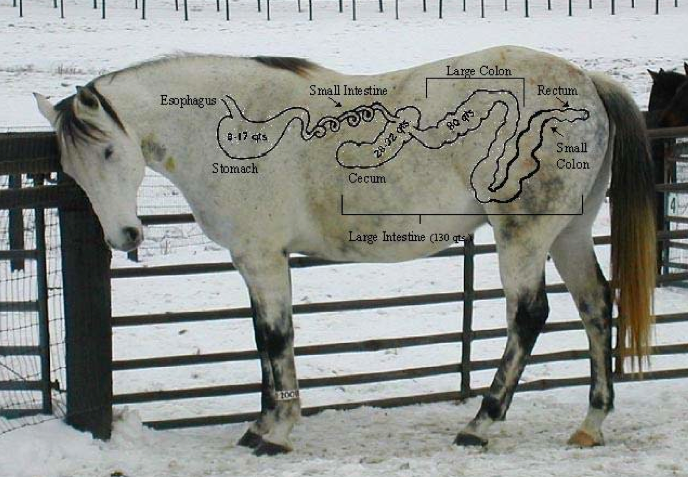 Understanding horse digestion should be a top priority. It sometimes seems that the horse’s digestive system is quite delicate, but many of the common digestive problems are due to the unnatural way horses are fed. When a horse is out in the wild with thousands of acres of free-roam grazing, and the only external demand is to maintain itself and occasionally run from predators, this configuration serves it quite well, most of the time. A minimum of 10 acres is required per horse to make enough forage for consumption, allow adequate movement, and to minimize parasitism. This is difficult to achieve in the modern world for most people. Riding or lunging must suffice for exercise, and the horse is much more reliant upon hay. Dewormers, of course, rid them of parasites- at least most of them, there are exceptions. 1. The horse is a non-ruminant herbivore. The digestive system share features with dogs and cats (and humans) which are monogastric, as well as the ruminant in which there are 3-4 gastric compartments. (Camelids have three). 2. As forage (the horse’s natural food) is chewed by the horse, the salivary glands produce up to 10 gallons of saliva (per day). Saliva is crucial for neutralizing stomach acids and reducing the risk of gastric ulcers. Horses do not make as much saliva when eating grain-type feeds. 3. The esophagus, which empties into the stomach, only works in one direction for the horse. Food cannot be regurgitated or vomited. 4. Gastric capacity is 8-10 liters, which is quite small compared to other parts of the digestive system. 5. Water only remains in the horse’s stomach for about 15 minutes before moving on to the small intestine. Food retention varies depending upon the type- grass, hay, or grain. 6. When the stomach is empty, acid can attack the squamous cells in the stomach lining, often resulting in ulcers. Therefore, small frequent meals, access to a slow feeder, or access to pasture are important. 7. Most of the digestion and absorption of sugars, starches, proteins, and fats occurs in the small intestine. 8. Horses do not have a gall bladder. Instead, the small intestine aids in the digestion of fats. 9. More than 1g/kg of sugars and starches spill into the colon, potentially causing colitis and diarrhea. Horses should be fed primarily forage and only small amounts of a low carbohydrate concentrate. 10. The cecum is homologous to the human appendix. 11. The colon is shaped like a stacked horse shoe, with varying dimensions to allow proper food mixing and digestion. 12. Food enters and exits the cecum at the top. This is a common site for impaction colic, which is often due to lack of water intake. 13. The cecum and other parts of the large intestine contain active populations of bacteria and yeast, which help break food down in a process called fermentation. This results in the formation of free fatty acids, from which the horse derives most of its energy. It also results in a large amount of gas, as a by-product. 15. Borborygmic sounds or ‘Gut sounds’ indicated that food is moving through the digestive tract. An absence of gut sounds likely means there is some digestive upset or obstruction. 16. A horse requires a minimum of 1.5% of his body weight daily of long-stemmed roughage (grass/ hay) for normal digestive tract activity; this is 15 pounds of roughage for a 1000 lb. horse. 17. The entire digestion process, from oral to aboral, takes about 36-72 hours. 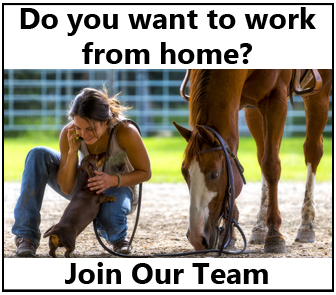 Source: Fox Run Equine Center – www.foxrunequine.com – (724) 727-3481. Share this on Facebook if you found these facts helpful!